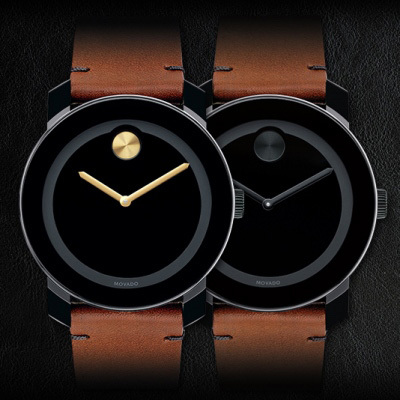 In a bold move to go natural, Movado introduces the new Colorado strap watch. Its sleek black case and modern dial are presented on a strap made of genuine bull hide that offers the rugged look of raw leather. Authentic in style. Masculine in nature. New from BOLD. Metal bracelets with modern style. 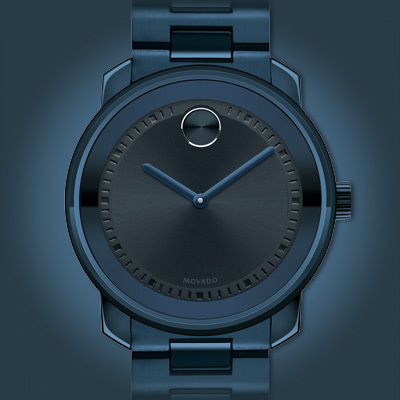 Crafted of solid or ion-plated stainless steel, BOLD metals are offered in a striking palette of monochromatic colors – including ink blue, gun-metal gray and warm golden tones. A ring of reflective metallization on the inside surface of the crystal creates the illusion of a mirror-finish bezel. A bright time for BOLD design. 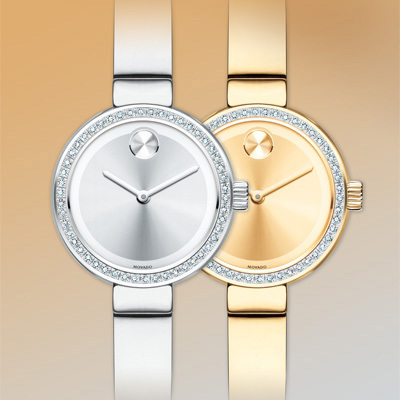 Discover modern steel and gold-toned bracelet and bangle-style watches sparked by radiant diamond bezels. Chic and shimmering. Sleek and feminine. Rich in style.